Another one SOLD!!! Team Zuhl & Hallmark Realtors are very happy to announce that the home they listed at 708 Vivian Terrace in Union has SOLD!!! A lovely Colonial style home, this 3 bedroom, 1 full and 1 half bath home, with hardwood flooring, custom kitchen, fenced yard and much, much more has been sold for $250,000. 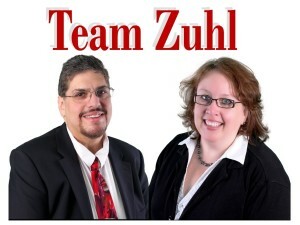 Team Zuhl is grateful to the sellers of the home for entrusting us to sell their home for them. We also wish to thank Casey Egger, Karen Leale and Natalie Slezak of the Avant Law Firm for all their help in getting this deal closed. If you or someone you know wants to get their home SOLD for the most money, in the shortest time possible, have them contact Team Zuhl today! Remember, with Team Zuhl everything touch turns to SOLD!! !